In a world where legends are being created every day in every field. The field of a startup is all set to create some superheroes. Every startup involves great effort and teamwork and passion. We at TBS planet believe every startup has a story to tell that could inspire people all around the globe. This time featuring Kunal on his journey to set Something cool. 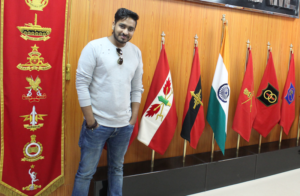 I was born and brought up in Delhi in 1989, I belong to an upper-middle-class family and my parents are working in the government sector. They strongly wished that their son should follow the trail and serve society. Since my nascent age, I was involved in computers and technology, I did my Bachelors in Computer Applications from GGSIP University Delhi followed my MCA from Jaipur National University and MS in Cyber Law & Security from National Law University. In terms of professional education, I gained a reputation as the Certified Ethical Hacker, Certified Hacking and Forensics Investigator, VMware Certified Professional and Cisco certified among other credentials. Along with that, I’m a published Author in Technology and Academic books, and also working on a fiction and one psychology book which is proposed to be released in 2018. I have a keen interest in music composition, I feel relax by composing electronic music, travel, writing, theatre and pets. 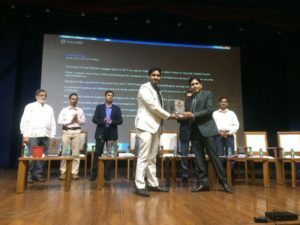 I recently received the prestigious Cyber Crime Helpline Award for my research in digital forensics and cybercrime investigations. Something Cool is nothing more than a solution that doesn’t exist or is a considerable improvement on the current alternative for a problem being faced by masses. All the startups being worked upon in Something Cool are game-changing in each of their respective industries. I basically conceived most of these ideas and formed a team to work on them and offer a solution to the problem. Most of these problems were actually faced by me or by my peers. Something Cool today acts as a virtual incubator for a dozen startups under its umbrella. Although it started as a pool of ideas to work upon and build products, when external startups approached for help, we saw the opportunity and evolved. While most of the startups are owned by Something Cool, we do have external participants who come to us for guidance and help. Something Cool is commenced with a small core team and a huge pool of volunteers that enabled us to achieve what we have without spending a single penny. The starts up that we are building at Something Cool has a target market from travel to music, from writing to the advertisement and many other industries and each of those 11 start-ups has the potential to capture a fairly large share of their respective market. What was your motivation for venturing into this? Startups are exciting, daily new challenges, solving a new puzzle every day and getting things done kinda gets me off. Also, the pleasure of building something from scratch and seeing it grow into something that empowers a lot of people is ecstatic, there is no better feeling than this. Most of the startups conceived at Something Cool, are problems that I personally encountered and decided to offer a solution like Jiffy Tickets came into existence when I missed on a few great concerts, and VAGALIFE was born when I was travelling and had no cash in hand, among others. I completed my BCA from Vivekananda Institute of Professional Studies, Guru Gobind Singh Indarprastha University. Post that I completed my MCA, followed by MS in Cyber Law and Security from National Law University. I always had a keen interest in the cyber security domain and MS in cyber law and security seemed like the perfect choice. In terms of professional education – I am Certified Ethical Hacker, Computer Hacking and Forensics Investigator, VMware and Cisco certified among other credentials. I have had the opportunity to work with big tech giants like DELL, Orange Business Services, HCL and British Telecom, on various technologies and platforms which provided me with a great experience and exposure to new technologies and big data centres. 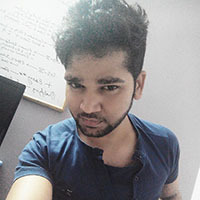 Ghansham is a full stack developer with expertise in building apps and products across various platforms. An early adopter of various technologies with rich experience in PHP, RoR, Python, Java among many more. I know Ghansham since college, we have a 10-year long trust-based relationship and we rely on each other for taking the right decisions. When I approached Mr Verma, he had no reason to decline and came on board. He completed his BCA and MCA and then worked with various multinational companies at software developer and lead developer roles before he came onboard at Something Cool. 4.Who do you see as competition and how is your startup different? We do not perceive other startups or incubators as competitors, we rather are trying to build a community of collaboration and support and we are looking at other startups as partners. We are a mere solution finder and if someone else is bringing a better solution to the same problem we are facing, we welcome them with open arms. Something Cool has multiple projects/startups being built at the same time, the costs incurred in building these world-class products are coming out from the savings of the founder and though he is pouring his hard earned money into this, he is not looking for an instant gratification or income out of this. At this moment, we are keeping all our products particularly free of charge. However, to keep the lights on, we do have few revenue models in place, like transaction fees in one startup and something else in other. Eventually, we will keep building great products but we have never been after the money nor do we intend to. We love staying bootstrapped and that is not just a statement, it is now our way of life. This is exactly the reason why we did not take any external funding or angel investment so far. In next 12 months, we will be launching all 11 products. We also plan to acquire servers/data centre in order to host our products on our own hardware. In next 5 years, we will release more than 35 products and would have helped 25+ startups successfully. We will also be investing in real estate to open a full-time physical incubator as well, which will include hostel and kitchen facilities for founders to stay and work as per their convenience without any fee. In next 10 years, we will have Something Cool incubation centres across all 7 continents. The first three international expansions on the cards are Amsterdam, South African and Latin American countries. Starting up is tough, keeping it on the go is tougher. One must focus and channel all his/her energy/resources to build what you really desire and not what you think will sell in the market. There will be times when you will feel knocked out and wouldn’t have the courage to get back up, the best thing to do is meditate, collect yourself in that one place, take another hit if need be and then get back up. Also, there is no shame in asking for help when in trouble. Feel free to ask and lend a hand to others as well.